China is big. Very big. Asia – or East Asia to be more precise, is bigger still. It includes the economic powerhouses of Japan and South Korea. It includes the cultural stew and rapid developments of south-east Asia, of which Indonesia is the most feted. It includes the basket case of North Korea and the fortress of Burma. One of the draws of being based in Beijing was the relative ease of traveling to all these exciting locations. In the reality, the distances and airfares involved in flying around Asia is not so convenient. But still, I have spent the past week in the idylls that are Thailand’s islands. Originally my plans were to incorporate travel & journalism – to go somewhere and experience the country while digging up stories, interviewees and new angles. It was a very appealing idea. This time I didn’t do that. I just wanted to relax. It was a very valuable vacation. 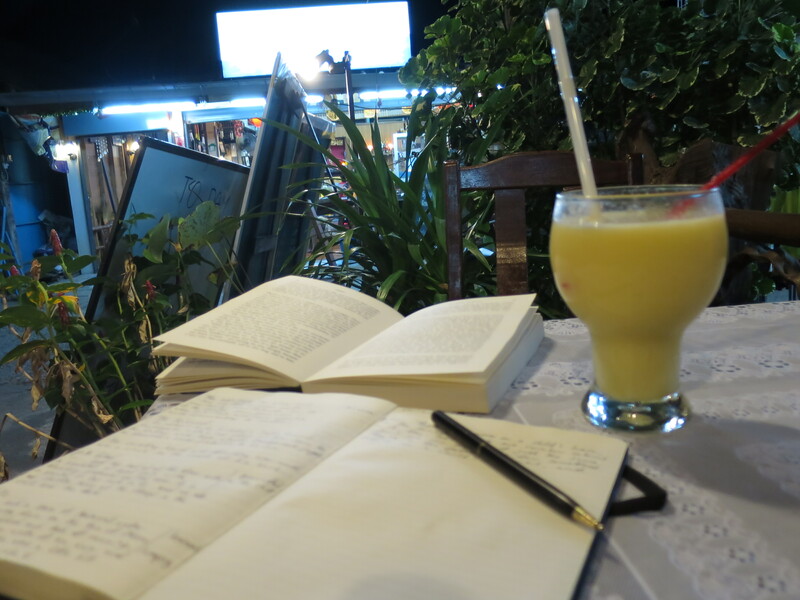 I read, wrote and jotted down notes and ideas, scraps of articles and blogs while sipping on a coconut, mango and lassi shake. I wrote the intro for an article, this blog, and wrote down a couple of pitches in detail, and jotted down ideas for others.